Northern (hen) Harrier: Have you seen this bird? The Hen Harrier (Circus cyaneus) or Northern Harrier (in North America) is a bird of prey. It breeds throughout the northern parts of the northern hemisphere in Canada and the northernmost USA, and in northern Eurasia. It migrates to more southerly areas in winter. Eurasian birds move to southern Europe and southern temperate Asia, and American breeders to the southernmost USA, Mexico and Central America. The harrier is easily recognized by the low, coursing flight, white rump, and wings held at an angle. Rough-legged Hawks occupy similar habitat but have broader wings and a black subterminal tail band. When migrating, harriers can fly at great heights where many of their features become less obvious. The white rump cannot be seen, the wings may not appear held at an angle and the tail may be fanned. The pale underwings with black primary tips of the male make it distinctive. 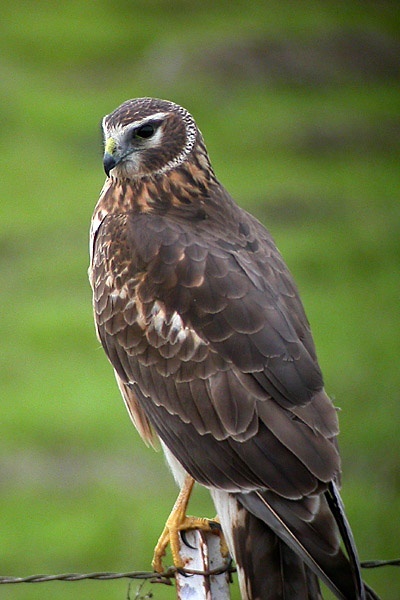 The Northern Harrier, breeds in North America and is sometimes considered a distinct species. Better an egg today, Bird, birds, Circus cyaneus, egg, harrier, Hen, hen harrier, hen tomorrow, Italian proverb. Bookmark.